A fearless mash-up of fashion tribes, fetish dolls, couture fascination, safari chic and hip-hop style. What binds these collections it the extraordinary level of artisanship. These designers quote freely from their personal oeuvre and find ways to mix these with fresh tempting inspirations without loosing their identity. 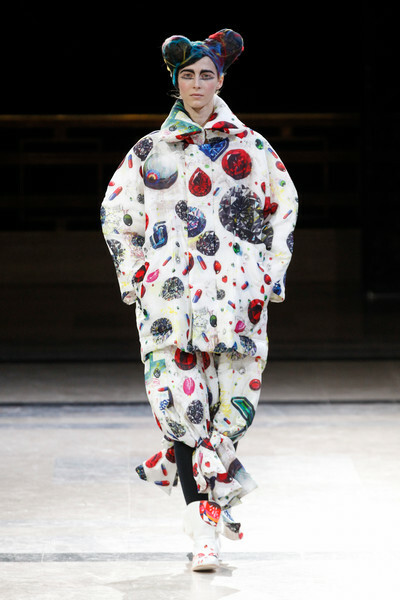 Yohji shows us power dolls wrapped in densely padded pillows. 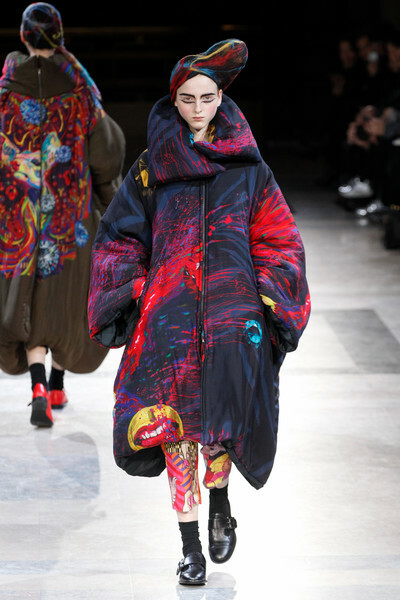 Soft cocooning stealth-wear, fantastically trippy in happy handprints. 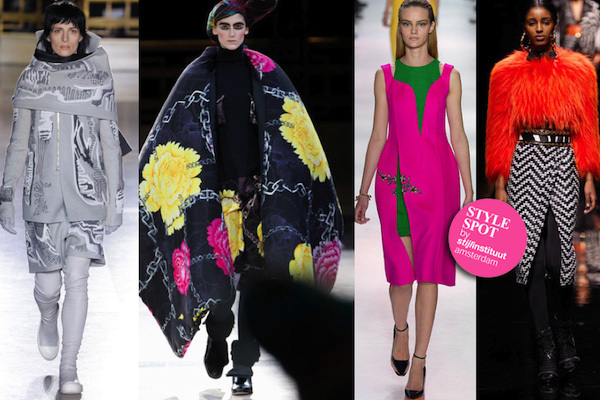 Raf Simons arms Christian Dior models with couture. Power dressing in layered vibrancy, linking seemingly endless side splits with embroidered decorations, rewriting the secret codes of couture. 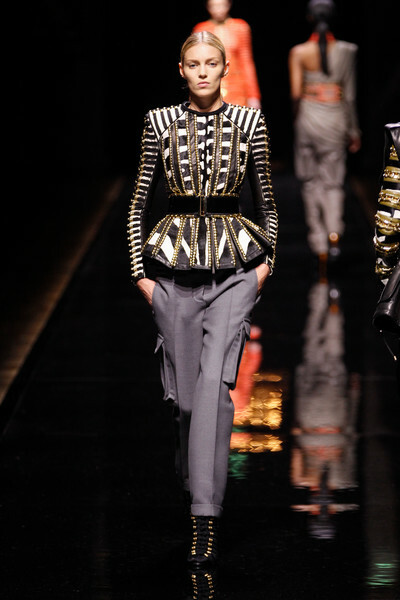 Balmain’s designer Olivier Rousteing dresses his global army of freedom in a dramatic, military-turned-tribal collection. 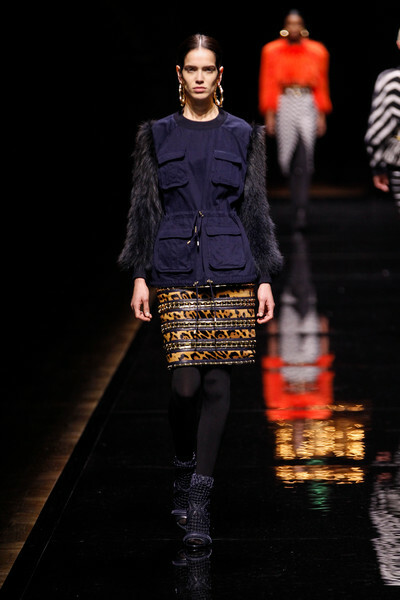 Here with optical leather weave wrap skirt topped with an electric pop of red lamb’s fur. 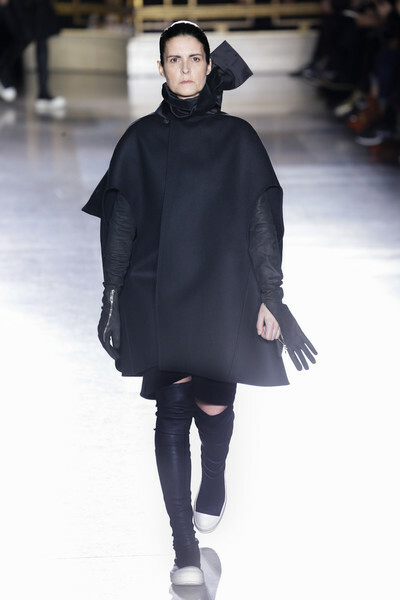 A story of love (to quote Rick Owens) – love for fashion.